The best Short Story blogs from thousands of top Short Story blogs in our index using search and social metrics. Data will be refreshed once a week. Short Story newsletter is a comprehensive summary of the day's most important blog posts and news articles from the best Short Story websites on the web, and delivered to your email inbox each morning. To subscribe, simply provide us with your email address. About Blog Original short stories or links to works by authors. You will also find audio versions and discussion threads regarding existing works. Facebook fans 1,173,205. Twitter followers 532,648. About Blog Looking for a short story for kids? Here is an amazing collection of short bedtime stories, famous short stories, funny short stories, short moral stories. Facebook fans 1,550. Twitter followers n/a. About Blog A writing subreddit for original horror stories in 500 words or less. Edmonton, AB, Canada About Blog A new story is posted to 50-Word Stories every weekday. Every story is exactly 50 words long! You can submit your own stories to be featured on the website, or enter themed contests to win books or ebooks, discounts from the Store, or other fun prizes. This our blog and get involved! Facebook fans 873. Twitter followers 771. About Blog EWR: Short Stories is a site of short stories from authors old and new. Facebook fans 2,863. Twitter followers 13,364. Brooklyn, NY About Blog One Story is a literary magazine that contains, simply, one story. Approximately every three-four weeks, subscribers are sent One Story in the mail. One Story is available only by subscription. Facebook fans 8,031. Twitter followers 32,198.
International About Blog International Short Story Forum. We welcome submissions of academic and creative discussions on any short story topic. All readers and writers are welcome! Facebook fans n/a. Twitter followers 4,593. Austin, Texas About Blog American Short Fiction selects and publishes short stories, short shorts, novellas, and novel excerpts by established and super new writers. It is their goal to discover and publish the best fiction they possibly can-stories that dive into the wreck, that stretch the reader between recognition and surprise, that conjure a particular world with delicate expertise-stories that take a different way home. Facebook fans 5,325. Twitter followers 10,868. London, England About Blog Delve into the world of short fiction by exploring The Short Story, a website with a passion for examining and promoting all forms of short prose fiction. Facebook fans 1,224. Twitter followers 3,160. South Africa About Blog Stories Space is a free web site where you can read, vote and comment on stories or publish your own fiction. Facebook fans 181. Twitter followers 2,058. About Blog Thoughts on reading and studying the short story by a guy who's read and written about a lot of short stories. Facebook fans n/a. Twitter followers 214. London About Blog Short stories hand-picked from authors around the world. Submissions accepted. Humour, crime, sci-fi, fantasy, horror and everyday life. Also, lots of resources and opportunities for budding authors, and lots, lots more. Facebook fans 181. Twitter followers 344. About Blog Love the life that you lead & lead the life that you love. I try to dabble on all those issues that are close to my heart and these could encompass Parenting, Home / Family, Life goals, Independence, Women issues, Behaviours, Technical revolutions and life-style changes around, coupled with some maiden attempts at Micro fictions. USA About Blog Musings on Life, Love, and Linguini. osts about Short Story written by charmedchaos12. Facebook fans n/a. Twitter followers 1,916. Gujarat, India About Blog This is a web publication written in English, Hindi and Gujarati. Short stories, Poetry, Motivational Articles written by Freelance writer from India. Facebook fans 861. Twitter followers 1,762. About Blog I am Shamim and I welcome you to my first ever writers' blog. I am super excited and would love to share this excitement with all of you. I will be presenting short stories under the category 'Morning cuppa'. The stories are nothing but a slice of life. They showcase my observations and interpretations of situations we encounter everyday in our lives. About Blog Short Stories for Kids blog has many short stories, which are classified under four main headings Bedtime Stories, Fairy Tales, Moral Stories and Scary stories. Each and every Short Stories has many colorful and attractive pictures. These short stories are very easy for kids to read and understand. Los Angeles, CA About Blog A variety of blood-soaked, feverish streams of consciousness in the form of #shortstories and #flashfiction. About Blog kidssite43 features Stories For Kids, Grandma Stories, Short Stories and much more..
West Bengal, India About Blog My blog is basically a collection of short stories all genres, (however, my favorite is fantasy). Well, that is the plan currently it’s just three stories, but I am working on many other which I will be posting one by one. Blog by Avishek Singh. Facebook fans 91. Twitter followers 293. About Blog Big News on Short Stories. Includes blogs, news, and community conversations about Short Stories. Facebook fans 9,836,767. Twitter followers 8,181,936. Kentucky, USA About Blog A place for me to daydream, ponder and reflect. Facebook fans 52. Twitter followers 104. India About Blog Newgentown is an emerging true story blog. It features Non Fiction Stories, True Stories and much more..
Facebook fans 3,710. Twitter followers 25. About Blog This is a blog of Untold Fiction Stories by Gunjan Singh Khandpur. He writes flash fiction, short stories and takes up free lance creative writing. About Blog Writers Network(WN) is an online platform which provides information, resources and opportunities for anyone involved in or interested in sharing a story, whether they are an author, freelance writer, artist, or just want to share anything. New Delhi, India About Blog Short Story Lovers is a global platform where one can write, read and explore all the existing forms of short stories i.e.True stories, Fiction stories, Romantic stories, Adventure stories, Horror stories, Thriller stories, Inspirational stories, Children stories, Fairy tales, Bedtime stories, Suspense stories, Drama, Tragedy stories, comedy stories and others. Facebook fans 10,915. Twitter followers 1,863. About Blog Broken Experiences blog is dedicated to all the lovers who were denied of love and were let down in their lives. 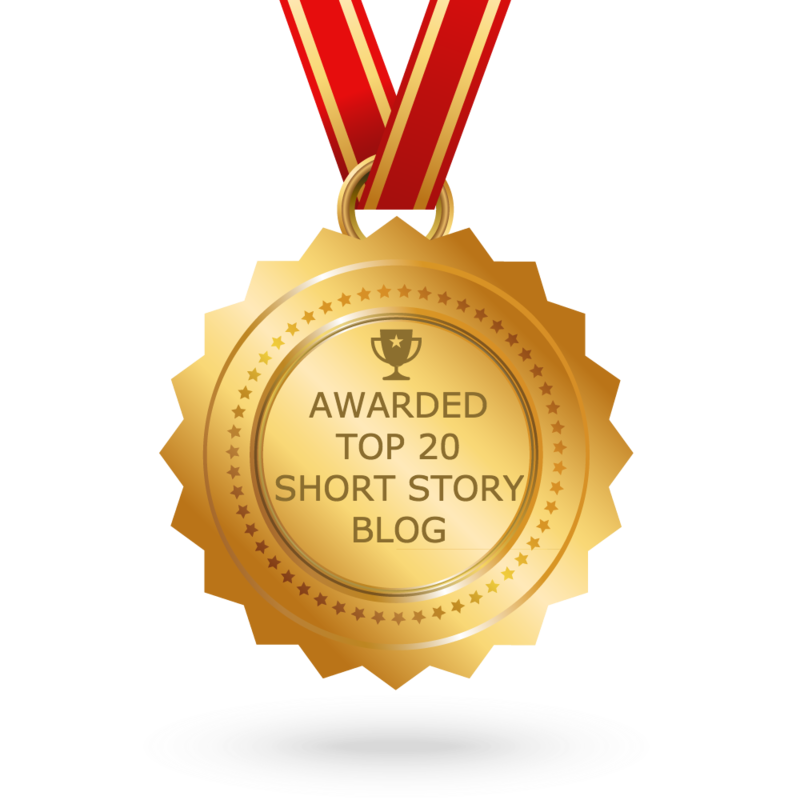 CONGRATULATIONS to every blogger that has made this Top Short Story blogs list! This is the most comprehensive list of best Short Story blogs on the internet and I’m honoured to have you as part of this! I personally give you a high-five and want to thank you for your contribution to this world.